Let’s talk about beautifying your blog, the simple way. As we all know, images can make articles look interesting and increase their worthiness of social sharing. That doesn’t mean that you need to sprinkle them everywhere or use expensive designing software. Today, I’ll be showing you how to use Stencil and why you should incorporate this tool as part of your content creation moving forward. Also known as GetStencil, this nifty app was first launched in Toronto to assist with online image creation for bloggers and small business owners. Since its inception in 2013, it has been favored by more than 120K global users. The nature of the tool is very intuitive. On the left hand panel of the dashboard is the image depository and on the right hand panel is where the editing process takes place. When an image is selected, it would expand immediately into the editing canvas (on the right), allowing adjustments like filters, positioning as well as adding text columns. 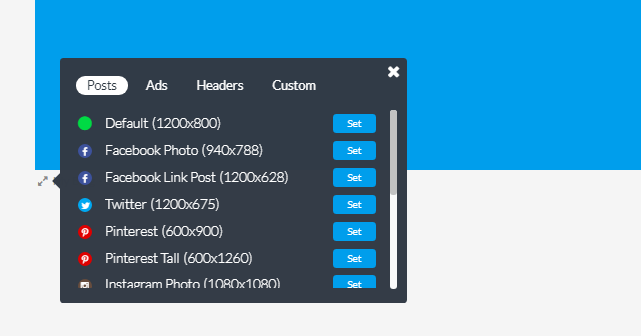 The Free – Access to basic features and edit up to 10 images per month. The Pro – Access to more features and edit up to 50 images per month. The Unlimited – Access to unlimited features and edit as many images as you want. Now, you’re probably wondering, isn’t this the same as Canva, another popular freemium graphic editing tool? Well, for the most part, they are, but there are some features within Stencil that may offer a better edge for you. 1 – Their stock photos are amazing and well suited for a variety of niches. With more than two million images to choose from, the options are endless. And since they belong to the creative common licenses, you can use them either for personal or commercial purposes without the need for attribution. 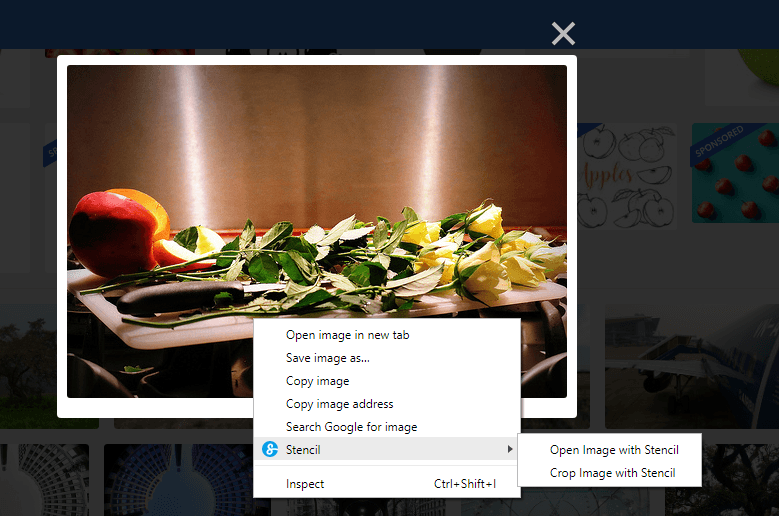 To find an image that is most relevant to your blog, filter using the photo categories or search with specific words like ‘car’ or ‘apple’ and the directory will pull out the relevant images. Besides photos, the stock also contains well over one million icons so if you are looking for favicon inspiration or ideas for any type of creative project, this is a good place to start. 2 – In order to make content more appealing for social sharing, they need to have images that are optimized for specific channels. Fortunately, each of these dimensions already has their own presets inside the Stencil’s editor. So whether you are designing a Pinterest post or an eBook cover, you can always switch the dimension just beneath the image with a click of a button. I find that this sequence of editing is more convenient, especially if an image is reused for several presets. That puts the image in a stationary position while switching the dimension frames instead of having to choose different frames and then upload the same image over again. 3 – Social sharing is made easier with Stencil as they provide integration with 6 different channels (Pinterest, Twitter, Facebook, Buffer, Instagram and Direct Linking). You just need to include the URL of the content relating to the image, view either in desktop or mobile, and then click to share. This method makes sharing more convenient than having to go back to the original blog posts and initiate sharing from there. 4 – This creative app also comes with a browser extension that allows you to create images and quotes outside of the editor space. For example, when you find a photo you like on free sites like Photopin, you just need to preview and right click on the image to select the Stencil function. Within seconds, the image will be transported to the actual editor, bypassing the download-upload route that we so often use with other programs. Again, the same method can also be used if you are a big fan of creating quote-based images. Just go to places like Goodreads, highlight the sentence, right click to select the Stencil function and quote will be brought over to the editing space. 5 – Another thing good about the app is that they are constantly adding new images and features AND you’ll be notified of these changes on your dashboard. Just click the bell icon in the upper right and you can find all the new updates that have been made recently. 6 – Now, how about earning some extra money using Stencil? This app comes with an affiliate program which offers 30% in recurring commissions. Here’s the breakdown of what you can potentially make through their subscription referral. This program is best suited for heavy users and niche bloggers who knows how to generate traffic online. You can write a product review, comparing Stencil with its competitors or create videos to show the step-by-step on how to create an engaging image using the app. As you can see, the commissions aren’t bad. You just need to have a PayPal account, sign up through their official page here and you’ll get access to their promotional materials, tracking and a dedicated support team. Since Stencil is a lightweight app, the editing features can be quite limited for the super creative so you may need a more sophisticated software for that. And while other programs can edit illustrations and charts, this app only caters for photos and icons at this point of writing. Plus, it only works online and works best on a desktop or tablet devices. There’s no app that allows you to work offline or store your work to be done later. So, Is Stencil Worthy of Your Time? Stencil is essentially made for speed so that users can create and share images faster in the least complicated manner. That alone, in my opinion, is good enough for most of us budding bloggers who are inexperienced and often times, have too much to juggle on our plate. With ample amazing stock photos and editing convenience, I find that their price is pretty fair too. 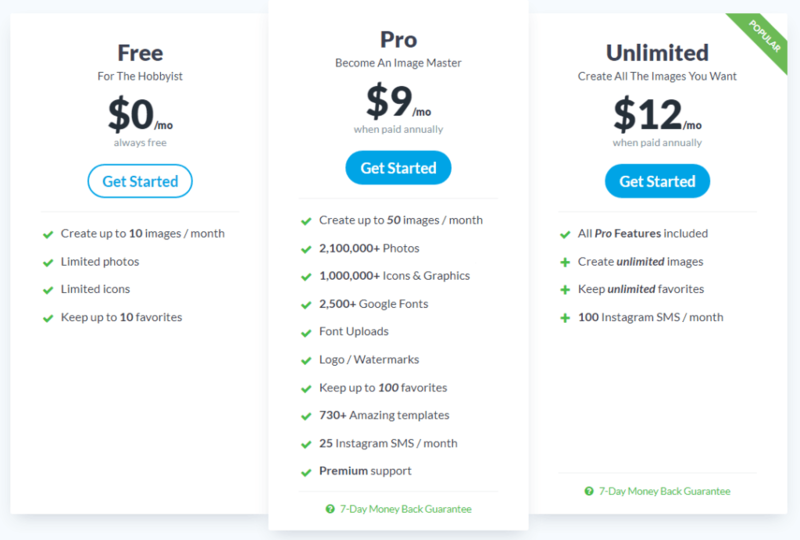 Even if you are not a heavy user, the free plan is quite a good deal to start with. Despite some of its shortcomings, I still find that it’s a good online tool that can improve one’s overall blogging productivity and potentially make some extra money along the way. I hope that by showing how to use Stencil, you’d be enticed to give this tool a try. For more tips about growing your blog, please take the time to check out my recommended training platform here. I am currently using a program for image creation and found it to be quite complex. It seems to cater more for experienced designers in which I am not. I need something that’s simple to apply and easy to process without having to add more barriers to my online work. Stencil seems to fit this criteria very well and I also like the fact that it’s free. Will definitely try it out for the next few days and see what kind of outcome I would get. Thanks for the comprehensive review. I have personally used Stencil with great success as the $9 per month was well within my budget. Creating content for social media is one of the most important things to focus on when looking to diversify from the organic traffic being driven to a site through SEO. 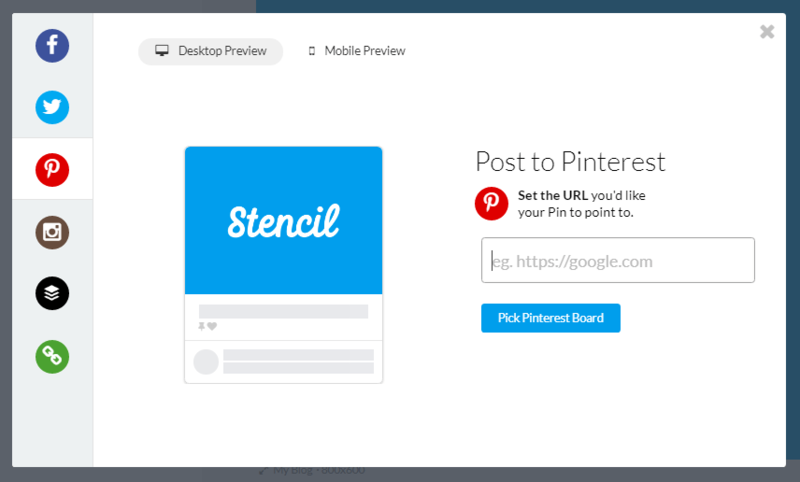 Stencil just makes social image creation so much easier for bloggers. Hi There, Till now I was using Canva for doing pictures for my blog and Facebook profiles. Now I see that Stencil will give me a lot of other options. I did not know about the existence of this tool until I came across your blog. I am glad to have found something new that I can try. Thanks for the review! You are so awesome for sharing this info. All this while, I have been going to Canva for free images of course and still in doubt actually whether I could put it on my site so most of the time I end up editing and adding Canva watermark at the bottom of the image. I will certainly check out this tool. Thank you once again. This is very interesting and it seems like I have been missing a lot for the past few months as a blogger. I will definitely give it a try so that I can spice up my blogs and see what comes up. I am not very good with designing, but I will see how far I can go with this awesome tool to grow my social sharing influence. This is a very useful product. I am using Photoshop to edit pictures (my hobby is photographing so I am good in using PhotoShop), but to those, who want to create images to share on social networks and on a blog, this is an easy to use the software. The promo video clearly shows how easy it is to use. The price of $12/mo is also very cheap for the unlimited package. It’s almost nothing. Images and copyright are troublesome, especially for the newbies and those who want to do things correctly. Being a jack-leg artist myself, I understand the need to do things with permission or correctly. That said, this tool looks to be worth trying. In fact, it may be a case of the correct tool showing up at the right time, at least for me.